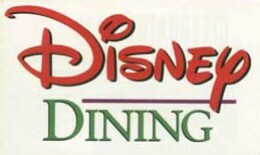 Cooking With Mickey: Help Me Decided Where To Eat!!! Help Me Decided Where To Eat!!! Here is your chance to voice your opinion on your favorite table service restaurants in Walt Disney World. They can be at a park, downtown or at a resort. I'm looking to try something new and I'd love to hear what you enjoy and why. What makes this restaurant a must try? Is there a particular dish that you find to be spectacular? My husband and I are taking our annual anniversary trip this September. I have 5 days to make my mind up on where I want to eat because starting at 7 am I will be online trying to get my ADRs. We'll be there for 9 days. I do know that one of them we'll be having dinner at Biergarten with our dear friend Jeff Davis, host of DW:60 & The SRN Top 10 on Sorcerer Radio. There are a couple that I'm curious about - Victoria & Albert's, Bistro de Paris, Tusker House, Portobello, Todd English's bluezoo and Spirit of Aloha Dinner. Has anyone tried these? What did you think? One of my new favorites is Yak & Yeti, But some of my old one's are California Grill, Victoria and Alberts, Le Cellier, Blue Zoo, Flying Fish, and Nine Dragon's. I figured I would start with a small list. Your Whole list I have dined at but Yak & Yeti was great food so it is one of my must eat there list when I visit AK. Of the ones you haven't eaten at but are curious I have dined at Tusker House for lunch 2 years ago. We enjoyed the meal. I kind of think of it as Boma lite :) Not quite as many interesting dishes, but not just an "American" buffet either. Le Cellier, 'Ohana, and Coral Reef are three of our favorites. Oh, and Sci-fi, too! Our next trip is in November. I want to try these: Garden Grill, Cape May (clambake), and Tony's. Bistro de Paris is really good, I'd recommend giving it a try!